I received a product in exchange for this post. As always, all opinions and words are my own. As you all know, I am a country girl at heart. Yes, I love my beautiful bags and purses, but most of my jewelry is pretty ‘toned down’. On any given day, I wear a watch and my wedding rings. I have worn the same watch for a couple of years now, and while I love it, I have been looking for a new, unique watch. When I ran across Jord Wood Watches, I was intrigued. Would it hold up under day to day wear and tear? Would it be too big for my wrist? Now that I have worn my Jord Watch for a couple of weeks, I can share with you that I am so impressed! It is gorgeous and great to dress up or wear just out to the grocery store. First, Jord’s customer service-impeccable. You all know how much I love good customer service. The watch shipped FAST and arrived a few days later. It arrived in a beautiful wooden box and was sized for me, ready to wear right out of the box. I love a good customer service and buying experience, and Jord did not disappoint! Yes! So far, so good. I try to be careful with any of my jewelry and take it off before submerging it in water or using it while cleaning, cooking, etc. I have word my Jord watch a few times while cooking dinner and even washing the dishes. I haven’t had any issues. Of course, it is recommended not to submerge your watch or let it sit in water for long periods of time, but the few times it has gotten damp, I haven’t had any issues! Again, so far, so good! I have worn it to go to the grocery store, change diapers, fold laundry, work from home, walk the dogs, etc. Basically-a normal day in a mom’s life. I haven’t had any issues with it scratching or being uncomfortable in my day to day life. 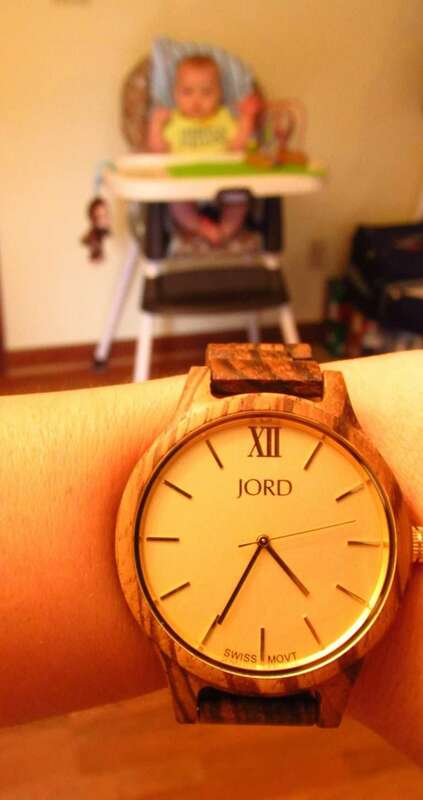 I am rough on jewelry and watches, and this Jord Wood Watch has withstood that! This was my biggest concern about the watch. I have small wrists and hands, so I was concerned about this watch looking too big or looking like a men’s watch. That is not the case at all! It has a beautiful gold face and the wood grain is gorgeous. 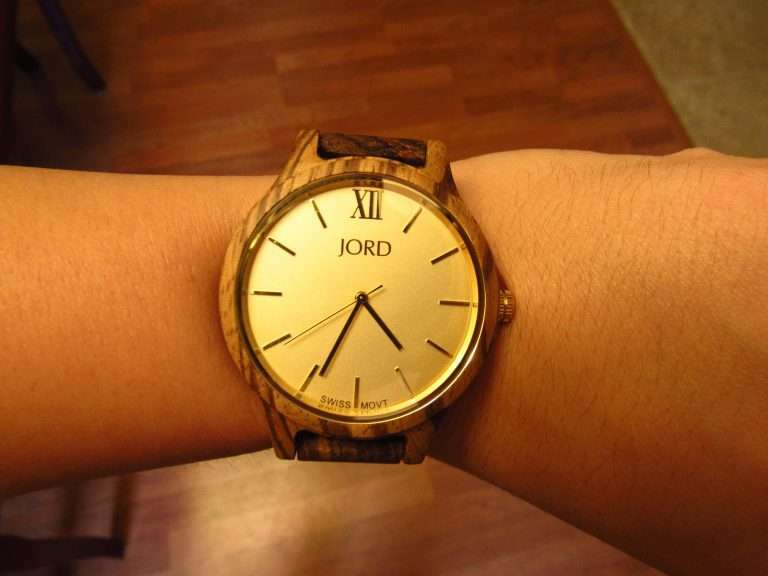 I wouldn’t hesitate to buy a Jord Wood Watch as a gift! If you’re like me and you are out of ideas for those on your upcoming holiday gift list, be sure to check out Jord watches. They are unique, beautiful, comfortable, durable and the perfect gift for anyone on your list! 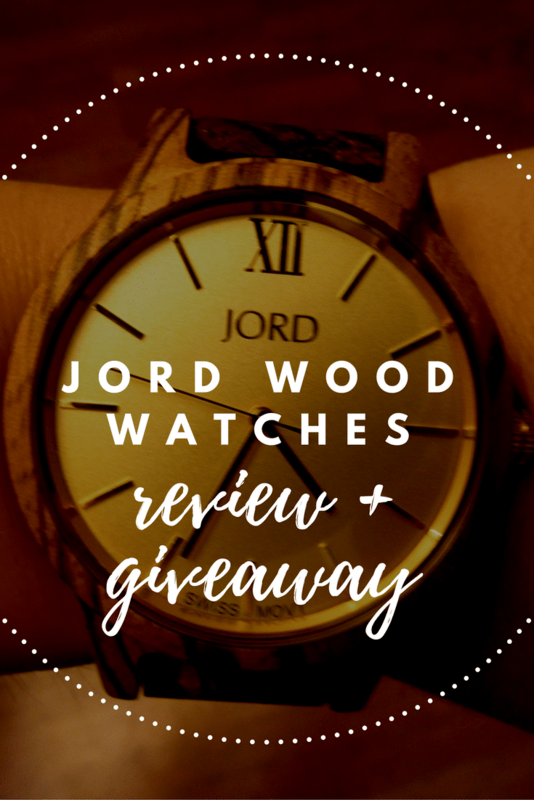 Enter to Win $75 Toward a Jord Watch! I love JORD watches, so beautiful! I was really surprised how comfortable they are to wear too. This one is really gorgeous, looks great on your wrist! Thanks! I love it-I am super impressed so far! Love seeing these watches, the wood is just beautiful! Would love to have one and so great they are so comfortable and durable!